Ridding a home of an infestation of German cockroaches (Blattella germanica) can be especially challenging—and important, due to cockroaches’ role in spreading allergic disease and asthma. Professional exterminators can be prohibitively expensive, so many residents turn to over-the-counter products for pest control, including “total release foggers” (TRFs). These so-called “bug bombs” are designed to kill roaches by releasing clouds of aerosolized insecticides into a room. However, covering a home in pesticides, which have been linked to a range of negative health effects, could have serious implications, in particular for low-income populations who resort to using these products. A recent study tested both the effectiveness of TRFs and how much they may expose residents to pesticides. A North Carolina State University team, led by entomologist Zachary C. DeVries, as part of his PhD research under Coby Schal, used sticky traps to identify baseline roach populations in thirty infested homes in low-income apartment complexes across Raleigh, North Carolina. The researchers treated the kitchens in twenty of the homes with one of four different TRF products. Before releasing the TRFs, the team caught forty roaches in each home and split them between two cages, one placed on the floor and one placed in an upper cabinet. When the apartments were safe to re-enter after TRF deployment, researchers collected and assessed mortality in these caged roach sentinels. 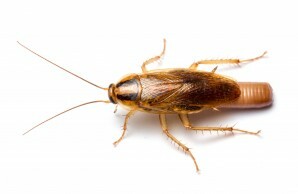 An additional ten infested apartments were treated with products that attract roaches to an insecticide with a gel bait.